downton abbey | Watch this! The wild success of Downton Abbey, a show produced and aired in the U.K. before being imported to U.S. airwaves on PBS, has Vulture asking this week whether the show is the TV equivalent of the Beatles — “the biggest thing ever to hit our shores from the United Kingdom?”. And while Vulture parses the numbers to figure out whether that’s true (spoiler alert: it’s tough to say, but probably not), the question itself suggests that TV-watching Anglophiles are having an impact on current pop culture. 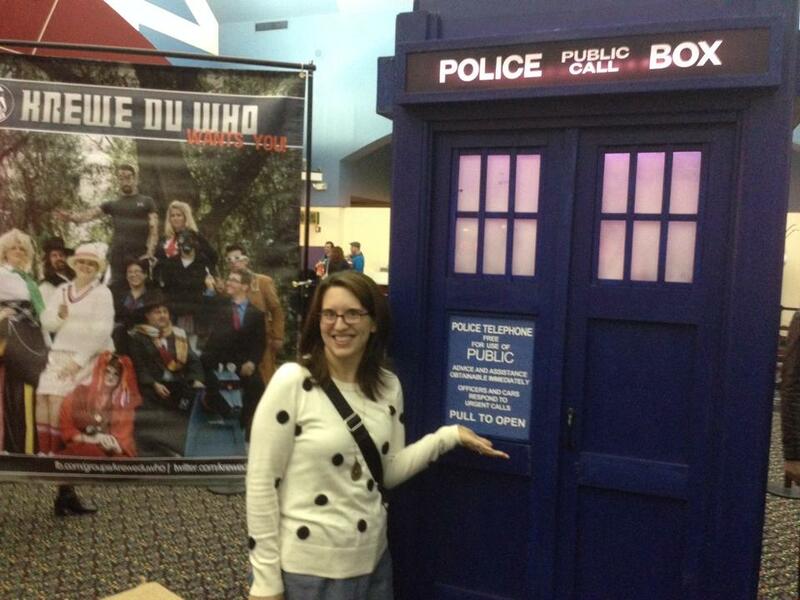 Me, posing with a TARDIS replica in November at the New Orleans screening of Doctor Who’s “The Day of the Doctor” 50th anniversary special. Look no further than Tumblr to see the impact of two other big across-the-pond hits — Doctor Who and Sherlock. Both shows have had a particularly good year among American audiences. Doctor Who, which celebrated the 50th anniversary of its debut in November, has long had a small but devoted fanbase among the Yanks. It wasn’t until 2009, when BBC America began airing the 5th season of the rebooted series at the same time it aired in the U.K., that the American following of the show truly took off (helped, of course, by the rise of Netflix and the availability of the previous seasons for streaming.) When the show aired its 50th anniversary special in November — bringing back previous stars David Tennant and Billie Piper — it smashed BBC America ratings records, pulling 3.6 million viewers for the show and its encore. Even more amazingly, a single day screening of the special in 660 U.S. movie theaters earned $4.8 million. I attended one of those screenings at a theater in the New Orleans area. Our local AMC had planned to show it on only one screen, and that sold out within the first 30 minutes. It later opened up a second screen, which also sold out. The event drew an impressive crowd of passionate fans, sporting TARDIS dresses and Tom Baker scarves and Dalek pins. It was quite the fandom event. And then there’s Sherlock, which aired its third season on BBC in early January, and then aired on PBS a few weeks later. The U.S. debut averaged 4 million viewers, up 25 percent from its previous season two years ago. But neither Doctor Who or Sherlock can touch Downton Abbey in the ratings, which has averaged about 8.4 million viewers this season. Do you have a favorite British import show? Do you think we’ll start seeing more across-the-pond success stories? Let me know in the comments!